Total Weight Gain/Loss: Gained 14 lbs. 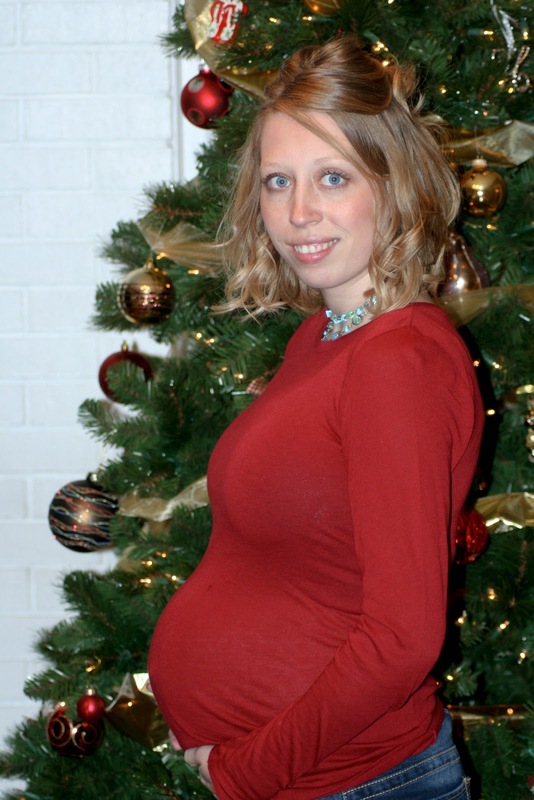 Maternity Clothes: pants are a must; shirts are still doable when not maternity, but I prefer the maternity. Symptoms: just a little sore; tired easily, and harder to do things (the ability to bend over has sort of disappeared in the last week). Best Moment this week: feeling the baby move so much more; up until now, I have felt a lot of movement at night when laying still in bed, but this week, I felt it a lot when I was up and busy doing other things.